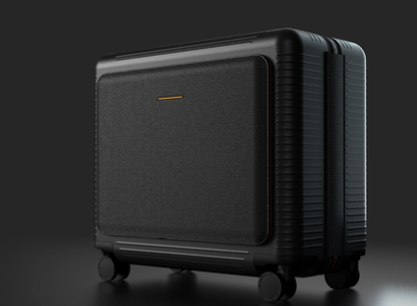 DJ, producer and restauranteur Seth Troxler has now turned his attention to DJ luggage, teaming up with Berlin’s Horizn Studio to create a specially-designed cabin bag that is suitable for life on the road: the DJ Trolley ST. The new travel bag is a practical yet stylish piece of luggage that will fit perfectly into the overhead lockers of most major airlines. The bag also has a host of DJ-friendly features with detachable compartments, power charging for your mobile devices and GPS tracking for those lost luggage emergencies, and above all has been designed to take the abuse that comes with life on the road. No news yet on how much the bag will cost, though Troxler has said he wanted to create a bag that could: "survive the challenge without costing the earth" — so hopefully this beauty won't break the bank!